Red Tiger Gaming brings you a slot game based on mining of gold. With as many as 5 reels and 40 paylines in this slot, it features underground adventures wherein you will get a treasure ride and also, a pick round. 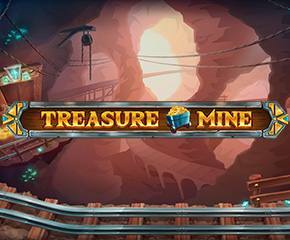 The Treasure Mine slot can be played on all devices starting at just 20p per spin. You can go as high as as £500 per spin while betting here. Pretty imaginative and creative design lets you enjoy the Treasure Mine with an amazing feel. The backdrop consists of an underground railway track. The reels are pretty simple in design and are coloured white. There is a hammer symbol in here which will give out 240 coins if you are lucky enough to land 5 of them on one payline. There is also a standard wild paying out 40, 100 or 320 coins on landing three, four or five of them. There are 3 more wild symbols in the game which will trigger the mini-feature. On the landing of dragon and the Redbeard wild during a single spin, the dragon breathes fire on the Redbeard. A trail of wilds is left behind when this happens. Extra wilds are created in its position and new payouts are made. If you are lucky enough to land a red gemstone during a spin which gives the Dragon Wild and the Treasure Strike Wild, the treasure will get multiplied. This, in turn, increases the payout. Apart from these, if you are able to land the Treasure Strike Wild and the Redbeard Wild in one spin, the Redbeard will hop over and initiate digging into the treasure. An instant win coin prize is collected. Trigger this high paying round by landing 3 bonus symbols. The Redbeard will jump in a cart and will move along the rail track. Just like Subway Surfer, he will collect gemstones that appear on the track. There is a specific prize for each stone and you can keep on collecting them as you will reach the end of the line. The maximum stake you can win here is as much as 1000 times. 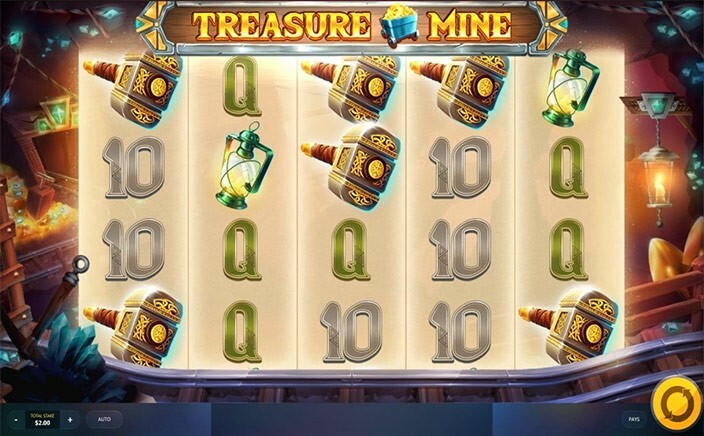 You can enjoy the Treasure Mine simplistic slot game and earn good payouts. The extra wilds that you witness in the Treasure Mine slot are highly rewarding and naturally enhances the interest of the player. Play this slot today at Monster Casino for winning real money.